Today (April 22nd, 2014) is 「アース・デイ」 (“Earth Day”). It is observed in many countries, including Japan. This is the day set aside to remind us to protect the environment, not only on Earth Day, but always. At the very least, we should remember the “3Rs”…reduce, reuse and recycle. Click here to visit the “My Beautiful Earth” website. It’s November 22nd (2013). Former U.S. president John F. Kennedy was assassinated fifty years ago today. I was born in November 1969. Six years after the JFK assassination. My parents were junior high school students back then…so, of course, they remember that day well. Since I hadn’t been born yet, I obviously have no memory of that event in history. The earliest historical event that I can remember is the U.S. bi-centennial in July 1976. I was only six years old, so I didn’t really understand it…but I seem to remember it somewhat. The earliest historical event that I can remember clearly and that I understood was was the U.S. diplomats in the U.S. embassy in Iran being taken hostage in 1979. There were yellow ribbons tied to trees, car radio antennas, etc all over America. Do you remember the JFK assassination? What are your memories? What other historical events do you remember? 石田太郎 (Taro Ishida), a Japanese actor who also did voice dubbing for many Japanese releases of Hollywood movies. He was the “voice” of Gene Hackman in most of Hackman’s movies in Japan. He was also the Japanese voice of the late Peter Falk’s TV detective character “Columbo“. 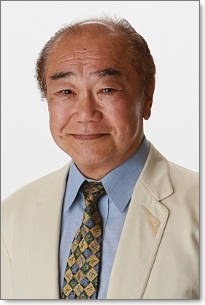 Mr. Ishida died this past weekend. Taro Ishida, 1944 Mar 16 – 2013 Sept 21, R.I.P. Did you know that there are aliens in Tokyo? Have you ever seen these aliens in Tokyo? I’ll give you a hint: Do you know where 「中野ブロードウェイ」is? Tell me some of the worst movies you’ve ever watched. Have you seen any of those? What are some movies you hated? When my kids were little, they each had a 「たまごっち」(“Tamagochi”)… the Japanese electronic “pet” toy. I hadn’t thought about those toys in years. But I was talking to my kids today. I asked them if they remembered their old Tamagochi toys (they do). So I told them about some of the “pet fads” that were popular in America when I was young (these never caught on in Japan though). When I was little, there was always an ad in the back of comic books for “Sea Monkeys”. I convinced my parents to buy these for me once. They were nothing like the picture! Another big fad of the 70s was the “Pet Rock”. I was never interested in having a pet rock. The name wasn’t a joke or ironic … it was simply a stone in a cardboard box! It was popular for a short time though … so I guess many people had one. Another pet fad that didn’t interest me was the “Invisible Dog”. It was simply a stiff dog leash with no animal. I don’t know if they’re “fads” or not, but I also had a Venus Flytrap (ハエトリグサ) once and an antfarm (蟻の農場) another time. I have written a number of posts about interesting people. Most of whose stories are related to Japan in some way. Maybe you haven’t seen many of them…so I decided to put links to all of them on a new page that I titled “Who’s Who?“. Please check them out and leave comments to let me know what you think. The new page is here.